Medigap is a little easier to understand but still prompts a lot of questions when you’re new to Medicare. Take a few minutes and read these Medigap FAQs so you can make an informed decision before you buy in a plan. How does Medigap differ from Medicare Advantage? Can I have a Medigap Policy and a Medicare Advantage Plan? Do I need Parts A and B to buy a Medigap policy? I am disabled and under 65 can I buy a Medigap policy? What are the different types of Medigap policies? Do Medigap policies include Part D drug benefits? Do Medigap policies include extra benefits like dental, vision and a Silver Sneakers gym membership? What does a Medigap policy cost? Can I buy a Medigap policy if I have preexisting medical conditions? How do I compare Medigap policies? Medigap is the official name for a Medicare supplement. The names are used interchangeably. Medigap policies are available from private insurance companies. A policy helps pay some of the costs that original Medicare doesn’t cover. Some Medigap policies cover medical care when you are traveling outside of the United States. Original Medicare does not offer this benefit. But that’s where the extra benefits end. Unlike a Medicare Advantage Plan, a supplement generally does not cover care that is normally not covered by original Medicare. Don’t expect a supplement to include dental, vision or hearing benefits. Medicare doesn’t cover your long-term care. This is a common misconception. This means that a Medicare supplement will not cover any long-term care costs either. Read all the Medigap FAQs before you buy. Insurance companies selling Medigap policies can only offer standardized plans. These plans are clearly labeled as Medicare Supplement Insurance. There are 10 standardized plans identified in most States by the letters A, B, C, D, F, G, K, L, M and N. There is also a high deductible option available for Plan F. Massachusetts, Minnesota and Wisconsin standardize their plan differently. The standardized plan you have determines the level of coverage. 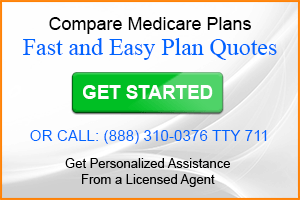 Medicare supplement Plan F is the most comprehensive and the most popular Medicare supplement plan. Plan F will pay your share of all Medicare-covered services and give you the extra coverage when you are traveling outside the United States. Of all the Medigap FAQs the most common always involves services covered. Keep in mind that with if Medicare doesn’t cover it your supplement will not cover it either. The only exception is for plans that include foreign travel. A Medigap policy helps pay for some of your original Medicare costs. A Medicare Advantage Plan is another way to get your Medicare benefits. Take the example of a doctor visit. With original Medicare you are responsible for 20% of the cost. A supplement will pay your share of the costs, although Plans K and L only pay a percentage. With a Medicare Advantage Plan you will most often have a fixed co-payment. The insurance company offering the Advantage Plan sets the co-payment amount. Medigap polices is a standardized plan. The coverage will be the same with all companies. Advantage Plans are never standardized and the same plan offered in different service areas can have different benefits. Medicare supplements don’t include drug coverage. You should buy a stand-alone Part D Plan. No. Medigap only works with original Medicare. Yes, to buy a Medigap policy you need to have Parts A and B. Original Medicare pays first and your Medigap policy pays second. People enrolled in Parts A and B and over 65 can buy a Medigap policy. Some companies may offer Medigap to you if you are under 65 and on Medicare due to a disability but it is very expensive. If you aren’t eligible for the Open Enrollment Period or Guaranteed Issue Rights the insurance company may apply medical underwriting. There are several conditions that will prevent you from buying a policy. Very few insurance companies offer Medigap to people under 65. Most States don’t have laws requiring them to do so. The companies that do offer plans to the disabled beneficiaries charge a very high premium. The premium is higher under 65 than the person turning 65. A Medicare Advantage Plan may be your only choice if you are on Medicare due to a disability. Insuring with original Medicare only will potentially leave you with high out-of-pocket costs. Medicare supplements are standardized insurance policies. The specific plan determines how much of the costs it pays. Unlike Medicare Advantage Plans you do not have to use provider networks. Although there is one exception. Medicare Select plans pay when you use a provider network. These plans are not as popular as a traditional Medigap plan. Another variation in plan types is the high-deductible option with Plan F. This plan requires you to pay a $2200 annual deductible. This is not a popular plan. Most people are trying to limit their out-of-pocket costs. Medigap policies do not include Part D drug benefits. Shop for a stand-alone Part D Plan that meets your needs. Prior to 2010 Medicare supplement Plan J included drug coverage but that plan is no longer offered. Some Medicare supplements especially those with association requirements (like AARP) include some drug discounts. Don’t confuse these discounts with drug coverage. They may be a benefit with over-the-counter medications but not with prescription drugs. With standardized Medicare supplements any extra benefit available is normally an association benefit. If you buy a AARP Medicare supplement the association could offer some extra benefits. Remember, a supplement pays your share of covered Medicare expenses. Original Medicare does not cover most dental, vision or gym memberships. 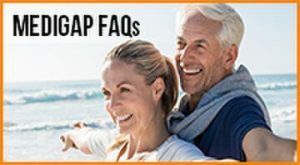 Of all the Medigap FAQs this is the most frequently asked. Premiums for a Medicare supplement can vary widely. The good news is that standardization makes it easy to compare the same plan across multiple companies. And premiums do vary between companies. Insurance companies use one of 3 pricing models to set premiums. It’s generally safe to assume that your premiums will be at your lowest when you turn 65. Your premiums may increase because you get older, because of inflation and higher claims costs or both. Claims experience is a major factor in setting your premium. Some companies have higher cost than others and this will reflect in your premium. Also, claims experience may differ from State to State and effect premiums. Depending on the company and the plan chosen premiums can range from under $100 to over $300 per month. The only way to learn what you may pay is to compare plans with several companies. Some insurance agents are captive. That means they only represent one company. An independent agent is the type you should seek out to compare plans. Because an independent agent is unlikely to represent all companies you will get a better idea of the market if you compare Medicare supplements online with a broker. (This is one of the most important Medigap FAQs). Some times are better than others to buy a Medigap policy. The best time to buy is during your Medigap Open Enrollment Period. The Open Enrollment period begins when you are 65 and enrolled in Part B. This buying window lasts for 6 months. Another time when you can buy a supplement is when you have Guaranteed Issue Rights. If you have Guaranteed Issue Rights you can’t be denied coverage due to a preexisting condition. You have these rights with certain changes to you situation. Read this article to learn more about Guaranteed Issue Rights. Medigap works differently than Medicare Advantage and you don’t have an annual enrollment period with Medigap. If you choose to apply for a policy when you are outside of Open Enrollment and don’t have Guaranteed Issue Rights you will undergo medical underwriting. The insurance company has the option to insure you or not. There are several conditions that will result in a denial. Call (888) 310-0376 to speak with a licensed agent to see if you qualify. This is one of the most important Medigap FAQs. If you have preexisting conditions you can buy a policy during the Medigap Open Enrollment Period. During the time when you have Guaranteed Issue Rights you can buy a policy. 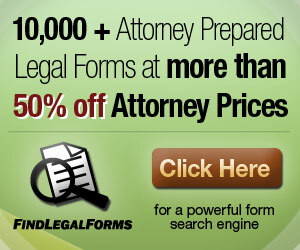 But an insurance company can limit which polices that sell are available to you. If you apply at a time other than Open Enrollment or when you have Guaranteed Issue Rights the insurance company can deny you but many preexisting conditions (like high cholesterol or high blood pressure) will not automatically get you denied. The easiest way to compare Medicare supplements is with an online broker. They represent many companies and can do the most thorough comparison. Review the Medicare supplement plan chart to decide which plan is best for you. Then compare premiums online with eHealth. It’s easy and straight-forward. If you need help call (888) 310-0376 to speak with a licensed agent.